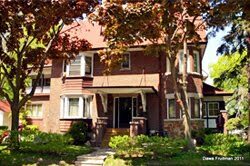 Kampo Gangra Drubgyudling is a Tibetan Buddhist meditation centre of the Karma Kagyu lineage located in the beautiful Beaches area of Toronto. 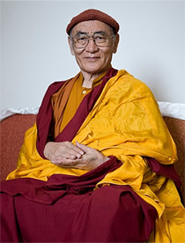 The centre was founded in 1973 by the Venerable Karma Thinley Rinpoche who resides at the centre and is its spiritual director. Rinpoche gave the centre the name ‘Kampo Gangra Drubgyudling’ because this was the name of the first monastery of the first Karmapa, Dusum Khyenpa. 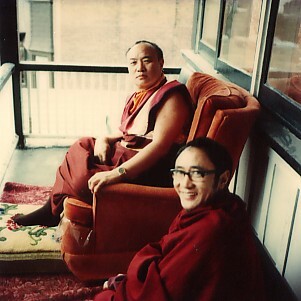 Dusum Khyenpa’s teacher, Gampopa, told him he should go to Kampo Gangra in Kham to meditate, because by doing this he would become enlightened, and his dharma activity would benefit the Buddha's doctrine and sentient beings everywhere. Dusum Khyenpa listened to his guru and became enlightened at Kampo Gangra, so it is a very important place. He thus established his first vajra seat at Kampo Gangra. Later he built the monastery Karma Gon-pa as his second vajra seat, and then established a third vajra seat at Tsurphu monastery. The 16th Gyalwang Karmapa Rangjung Rigpe Dorje came to Kampo Gangra Drubgyudling on many occasions, and in 1977 resided here for ten days. During these visits he gave Vajra-Crown ceremonies and many initiations and blessings. His Holiness appointed Karma Thinley Rinpoche head of Kampo Gangra Drubgyudling and gave him the title of Garchen Chöje Lama, along with a letter of authority. Since its founding, many other important lamas have visited and taught here, including His Holiness Sakya Trinzin, His Holiness Ling Rinpoche, His Holiness Dilgo Khyentse Rinpoche, His Eminence Kalu Rinpoche, the Venerable Nyoshul Khen Rinpoche, and many more.